Have you ever taken your laptop or desktop PC into Office Depot (now Office Depot/Office Max) for a free “PC Checkup” or some other service? If so, did you end up paying them big bucks to remove malware from the machine? Well, if you did you were probably scammed. A couple of years ago Office Depot techs at several stores were caught red handed “finding” malware that didn’t exist on customers’ computers and then charging those customers $180 each to “remove” the non-existent malware. And there were a LOT of scammed customers! In fact, according to Office Depot themselves they “helped” about 6,000 customers each and every week by running their free PC Checkup service on their machines. If you do the math that adds up to over $5.5 million per year in virtually clear profit for performing a service that was never needed in the first place. And that doesn’t include the massive profits they surely made by selling those customers additional related services and expensive anti-malware software to “prevent the problem from happening again”. If you haven’t read the post I linked to above and watched the undercover “sting” video, I recommend that you do so. It’s quite an eye-opener. Well, now the Federal Trade Commission has just fined Office Depot $25 million for perpetrating that fraud on millions of unsuspecting customers. They also fined Support.com an additional $10 million for providing Office Depot with the fraudulent “PC Health Check” software they used to scam their customers. I don’t know about you, but this sounds like a “slap on the wrist” to me. A $25 million fine is really nothing to a company the size of Office Depot/Office Max and I really doubt that it’ll serve as an effective deterrent. It wouldn’t surprise me a bit if they don’t simply consider this fine to be of the costs of doing business and keep right on scamming their customers. Bottom line: If you ever need to take your computer to a shop for some reason, I strongly recommend that you choose someone besides Office Depot/Office Max. And as for me, I haven’t shopped at Office Depot since the day this story first broke, and I never will again. Just sayin’. 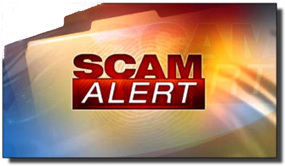 Bonus tip #1: Click here to read about several other scams and hoaxes that are making the rounds right now.